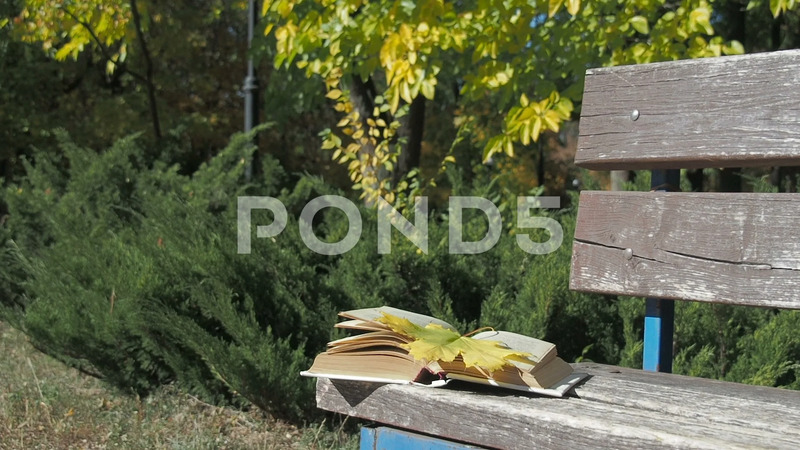 Book In The Autumn Park. Description: Book in the autumn park. Wind turns the pages of the book.